March 8, 2012––Aging is a complex process involving physical, psychological, and environmental factors. Scientists believe that aging can be programmed in the womb. One example of stress during pregnancy is the administration of glucocorticoids––synthetic stress hormones––to accelerate fetal lung maturation in premature labor to allow breathing after birth. Could exposure to these stress hormones have an effect on health later in life? 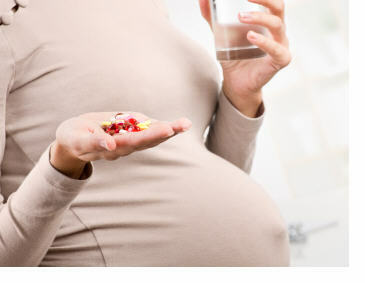 "We know from previous studies that children whose mothers received glucocorticoids during pregnancy are less stress tolerant and have more concentration problems than their peers," reported Professor Matthias Schwab, the neurologist heading the project. "Stress signal regulation is permanently disturbed and appears to lead to early aging, in particular, of the brain," he added. The scientists examine several risk groups. One consists of 10-year-olds born at the Jena University Hospital whose mothers had treatment with glucocorticoids during pregnancy. Two other groups are being followed up by psychologists at the University of Leuven in Belgium and include two-year-olds and 25-year-olds whose mothers suffered from stress during pregnancy. "A unique group studied at the Academic Medical Centre, University of Amsterdam, includes persons born in Holland during the Dutch 'Hunger Winter' of 1944/45," reported Schwab. Scientists involved in the project use state-of-the art neuropsychological, neurophysiological, and MRI methods to analyse and compare biological and real age of the brain. The biotechnology companies Life Length in Madrid and Biocrates in Innsbruck measure biological age in chromosomes and screen blood samples to determine metabolic blood markers of age. "Environmental factors such as exposure to stress hormones or malnutrition during pregnancy change the readout of genetic information permanently," reported Matthias Platzer, Head of Genome Analysis at the Leibniz Institute for Age Research in Jena. "These epigenetic processes significantly change stress sensitivity for the rest of life," explained Prof Schwab. "Increased stress sensitivity makes one vulnerable to age-related diseases such as stroke and depression," he added. In experimental studies, researchers aim to determine the period during pregnancy in which the brain is particularly vulnerable to stress. An important aspect of the research also involves studying a group of primates kept in Texas for possible translation of the findings to human subjects. Understanding the biology of healthy aging is desperately needed due to the worldwide aging population and the economic costs of treating age-related diseases. "Environmental influences during life in the womb are early determinants for life-long good health and may be a target for preventive measures against early-aging and age-related diseases," explained Schwab. Friedrich Schiller University focuses on five priorities of research that have already established themselves as high-performance areas.This is carefully managed by specifically appointed policies and an inclusive approach to promoting young talent. These priority areas are complemented by framework that considers the analysis and management of complex systems, historical culture and religion, and the cultural contexts of aging. Press materials provided by Friedrich-Schiller-Universitaet Jena.